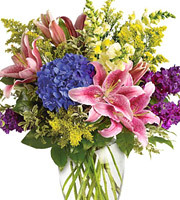 Looking for a great florist in Lombard? Our award-winning, family-owned, full-service flower shop in Lombard, IL, and our nine other nearby area locations, serve Lombard and all surrounding communities with the finest in same day and next day local flower delivery, plus nationwide and worldwide flowers-by-wire. 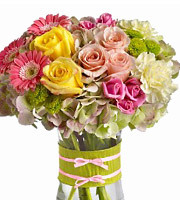 So, call on us for all your floral and gift needs in Lombard -- or anywhere. Satisfaction guaranteed. Since 1923. For flowers in Lombard and all surrounding communities, trust Phillip's Flowers, your family-owned, full-service, Lombard florist serving Lombard, Elmhurst, Glendale Heights, Villa Park, Roselle, Bloomingdale, Schaumburg, and surrounding areas for more than 85 years. Located on Main Street just north of Roosevelt Road, our Lombard, IL flower shop specializes in gorgeous roses, popular take-with bouquets, beautiful fresh flower arrangements, custom wedding flowers and special event decorations, exceptional funeral flowers, and long-lasting indoor plants and planters. 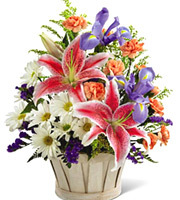 We're real local florists known for quality, value, and friendly service. And, with nine other award-winning Chicagoland locations, we deliver to the city and over 150 suburbs daily. An Illinois Merchant of the Year and top FTD and Teleflora florist, our flower shops deliver regularly to Adventist GlenOaks Hospital, Elmhurst Memorial Hospital, Yorktown Shopping Center, Finley Square Mall, the Carlisle Banquet Hall, and all local funeral chapels, including Brust Funeral Home, Knollcrest Funeral Home, and Cypress, Steuerle, and Villa Park Funeral Homes. 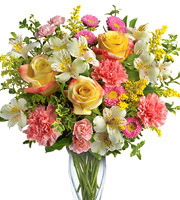 So, for beautiful fresh flowers and plants delivered in zip codes 60148, 61421, 60181, 60137, 60139, 60108, 60117, 60159, or virtually anywhere in the greater Chicago metropolitan area, just call, visit, or order online today. For additional information or assistance, dial 1-800-356-7257, call our Lombard flower shop directly at 630-627-6600, or visit us at 1110 S. Main st., Lombard, IL 60148 . We look forward to serving you in any way that we can.